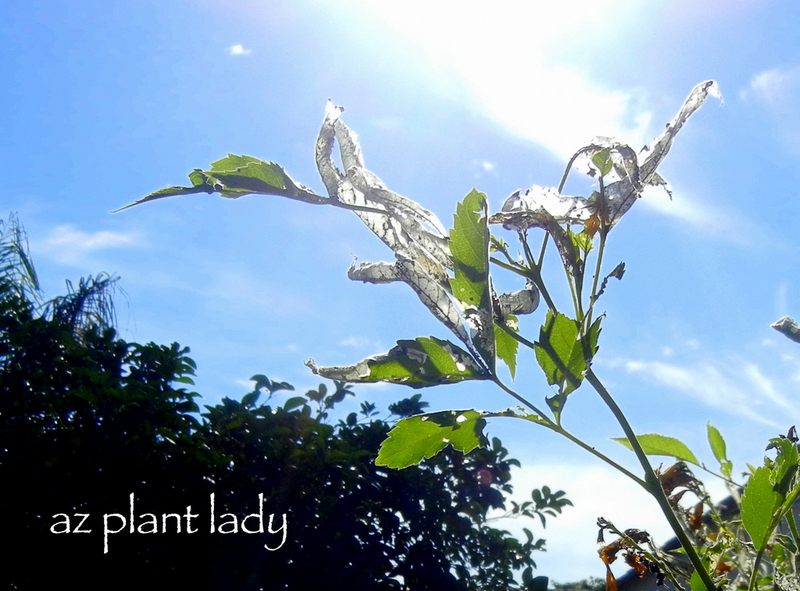 Do you have caterpillars lurking beneath the leaves of your shrubs? 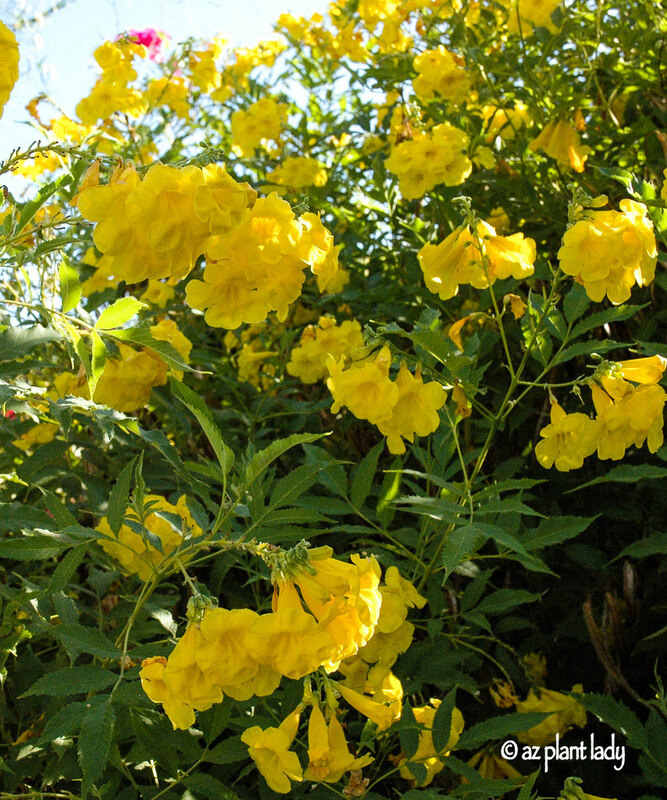 If they look like the yellow bells shrub, pictured above, probably not. But, if your leaves look as if a vampire came along and sucked them dry, then they are there, whether you can see them or not. Other telltale signs include little black pellets, which are caterpillar ‘poop’. 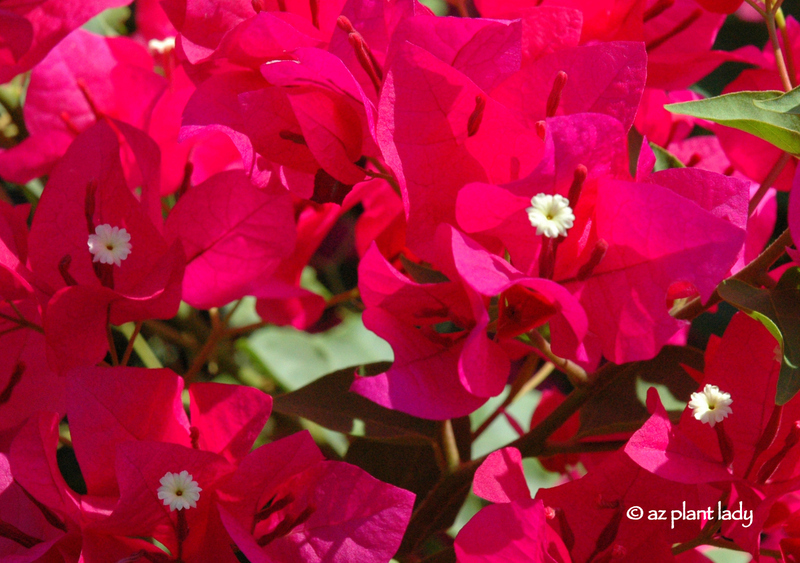 Bougainvillea can also fall prey to hungry caterpillars, who leave behind ragged holes and edges. So, what do you do? Nothing? Or should you pull out all the stops to get rid of them? How Do You Choose a Plant Nursery? “Where do you recommend I go to buy plants?” This is one question that I’m often asked, and Tmy answer varies. The choices that people have for purchasing plants range from a locally owned nursery, a nursery chain, or a big box store. So which is best? Well, that depends on the situation. So, I am going to give you my recommendations based on different factors. You have just moved into a new house and want to add some plants, but you have no idea what kind of plants do well in your new region, how to care for them, or what type of exposure is best. I would highly recommend visiting a locally owned nursery, which employs people who are knowledgeable about plants. Also, the types of plants they carry are most likely well-adapted to the growing conditions of your area as well. Local nurseries also sell a greater variety of plants. The mature size of a plant often depends on what climate they are grown in. So your local nursery professional can tell you how large the plant will become in your zone, what type of exposure it needs along with watering and fertilizer requirements the plant will require. You will pay a little more at a locally-owned nursery or a small chain, but you will save money due to the excellent advice and the fact that they usually only stock well-adapted plants for the region. You have a list of plants that you need for your garden, are familiar with the plants that do well where you live and how to care for them. Also, your budget for purchasing new plants is small. Another important thing is to be familiar the plant’s needs because, while their nursery personnel may be helpful, not all of them are knowledgeable about plants. The biggest benefit for shopping at a big box store’s nursery is that plants are often less expensive than at your local nursery. Many also offer an excellent plant warranty as well. One important thing to remember about shopping at a big box store nursery is that just because you see a plant there, does not necessarily mean that it will do well in your area. I have seen quite a few plants available in my local big box store that is sold out of season or very difficult to impossible to grow where I live. So where do I shop for plants? Well, it depends on several factors. For flowering annuals, I shop at the nearby big box store as it’s hard to beat their variety and amount plants available. When I need perennials, shrubs, succulents, or trees, you’ll find me at my favorite local nursery. They grow most of their nursery stock, so I know that it is adapted to the climate. While traveling to areas with similar climates to mine, I take time to see if they have any specialty nurseries and take time to visit. I do need to confess that my favorite place to find plants is not at a nursery, but at my botanical garden’s seasonal plant sale. They have hard to find plants, and I know that whatever plants I come home with will do well in my garden. Regardless of where you shop for your plants, I highly recommend researching plants ahead of time. Learn how big they get, what type of maintenance they require, watering needs and how it will do where you live. You can find most of this information easily online by doing a simple search using the plant name + where you live, which will give you links on the plant and how it does in your area. **Where do you shop for plants? https://www.azplantlady.com/wp-content/uploads/2015/07/DSC_0483.jpg 465 640 arizonaplantlady@gmail.com http://www.azplantlady.com/wp-content/uploads/2018/10/favicon.png arizonaplantlady@gmail.com2015-07-13 19:30:002017-08-25 11:42:37How Do You Choose a Plant Nursery? 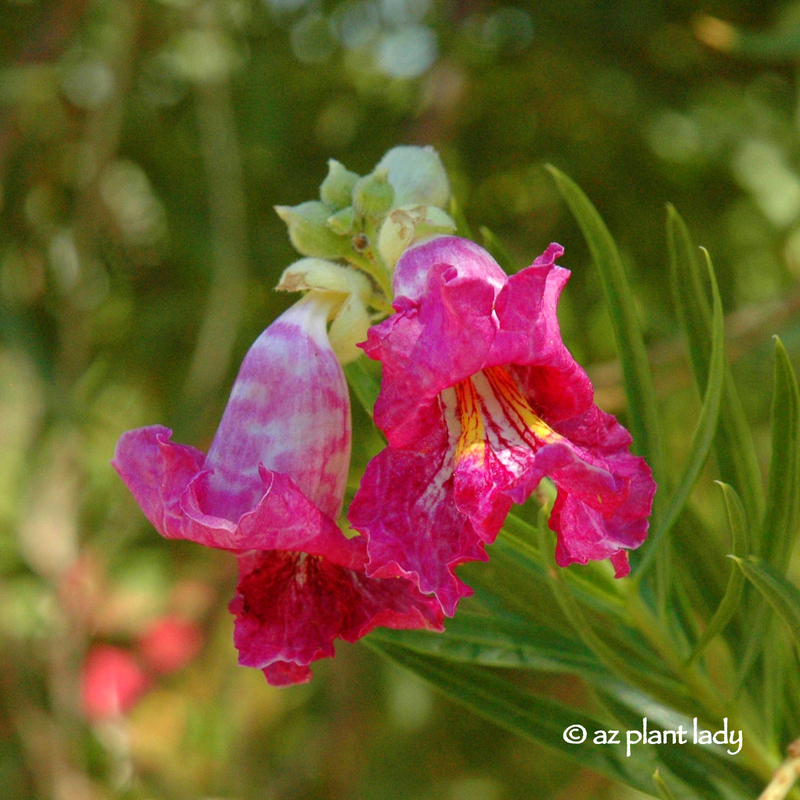 The blooming of my desert willow tree (Chilopsis linearis), is beginning to slow down. The leaves will fall in December. However, there were a few lovely pink flowers left. Also, the recent monsoon storms have caused my ‘Rio Bravo’ sage, (Leucophyllum langmaniae), to burst out in flower. Beautiful, magenta brachts surrounding the tiny, cream-colored flowers on my single bougainvillea shrub. I also love the multi-colored blooms of my lantana ‘Patriot Desert Sunset.’ They will soon stop blooming for the winter. The vibrant colors of my red bird-of-paradise, (Caesalpinia pulcherrima) add vibrant color to my garden and nectar for hummingbirds. In another month, many of these flowers will no longer be flowering, but until then, I’ll enjoy the view. The saguaro cactus is one of the most iconic plants of Arizona, (Carnegiea gigantea), it is perhaps the most recognizable trademark of the Sonoran desert with their tall arms reaching toward the sky. 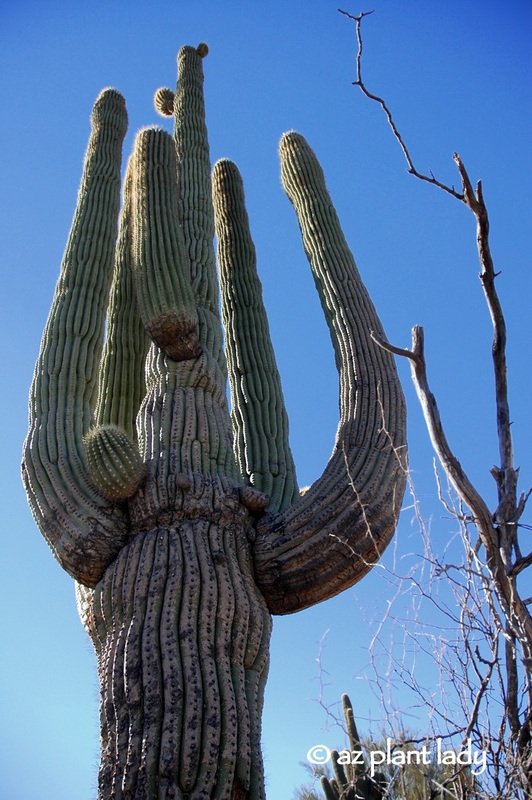 Although, saguaros are only in some regions of the Sonoran desert. The vast majority are found in Arizona and Mexico. They are often found growing on the south side of the mountains due to the warmer air temperatures. Another iconic Sonoran desert plant is the ocotillo (Fouquieria splendens) with its leaf covered canes topped with brightly colored flowers. Sometimes, people, mistake ocotillo as a type of cactus, but they’re actually a type of shrub. 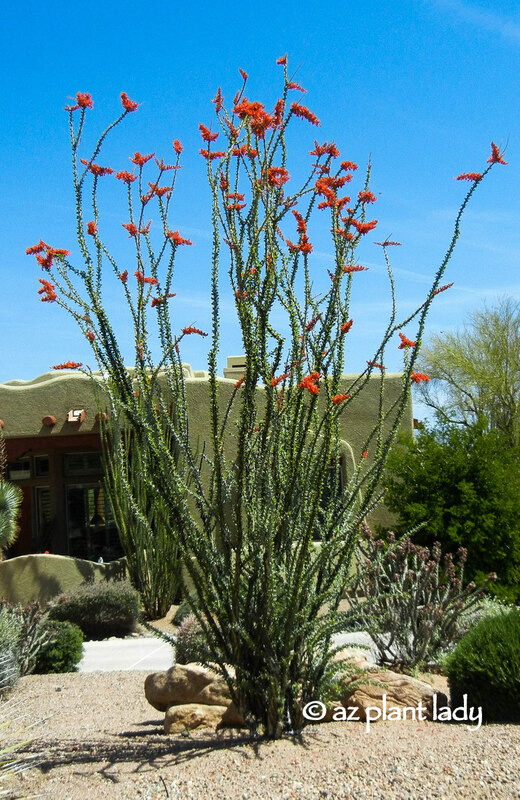 Ocotillo produces beautiful vermillion blooms that attract hummingbirds and their canes leaf out occasionally in response to humidity and rain. 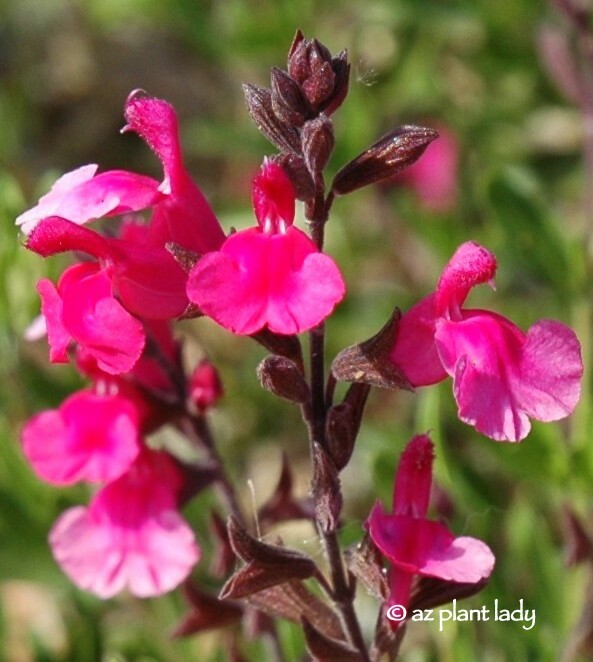 If so, you may want to make sure that you have some autumn sage (Salvia greggii) growing in your garden – it is a hummingbird magnet. 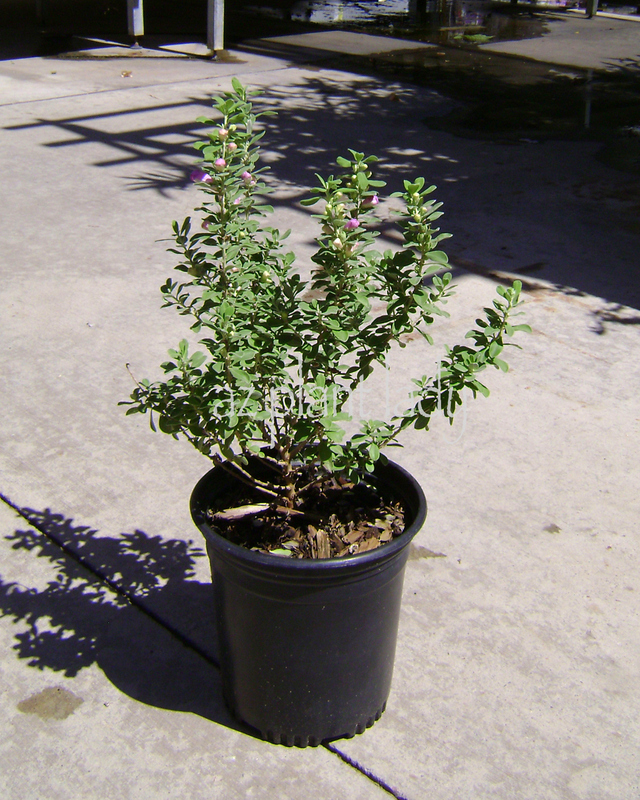 While red is the most common color of this small shrub, it also comes in other colors including shades of pink, purple, coral and white. 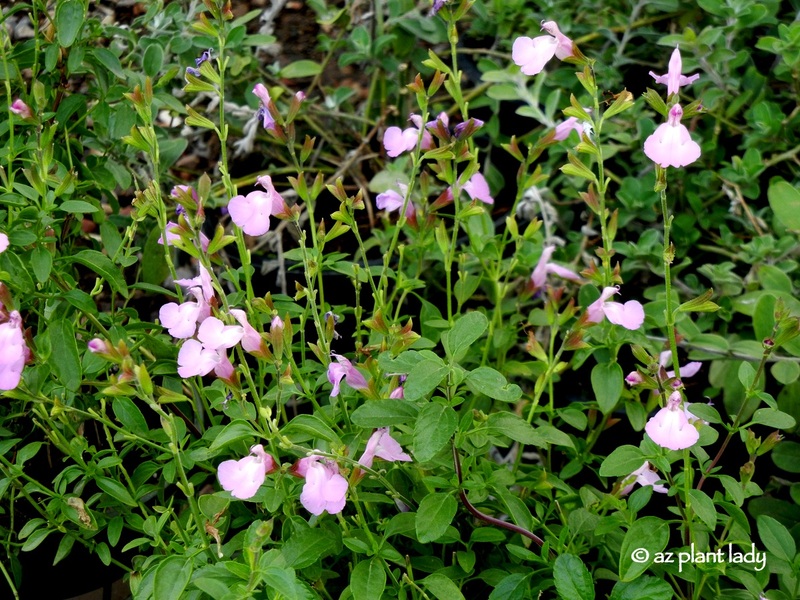 It has has a long bloom period in low desert gardens, beginning in fall and lasting until late spring. 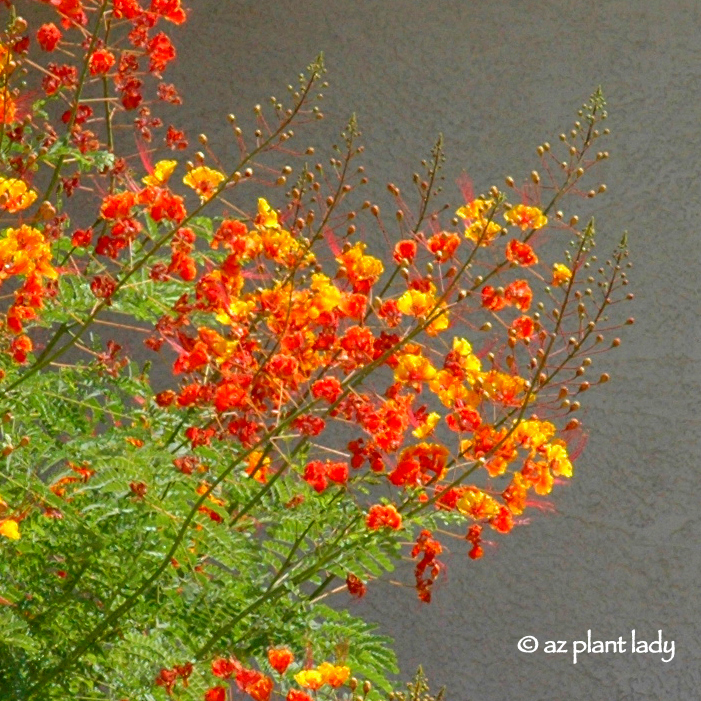 When growing in the flat desert, plant it in a filtered shade for best results. Prune back by 1/2 its size in early March. 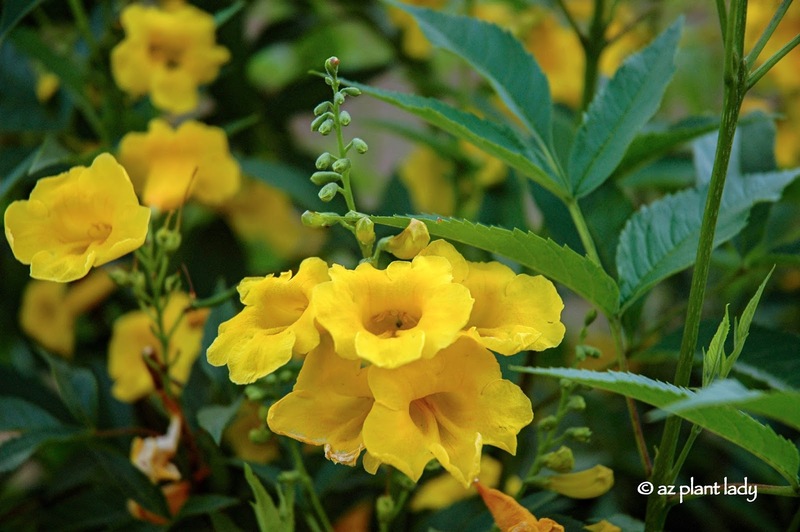 Late August is a time when I usually lightly prune a few of my summer flowering shrubs. 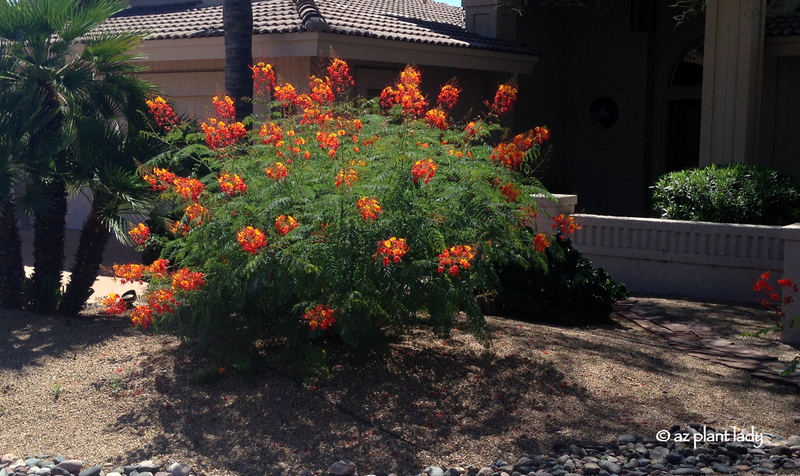 I just finished pruning my Red Bird-of-Paradise (Caesalpinia pulcherrima), taking off about 1/3 of the height. This will help to promote additional flowers in early October. The key word here is to prune lightly, not severely prune. By pruning carefully at this time, it will help your plants look better throughout the winter months instead of looking messy and overgrown. Light pruning will also enable your plants to produce some new growth before the weather cools down and most plants stop growing. 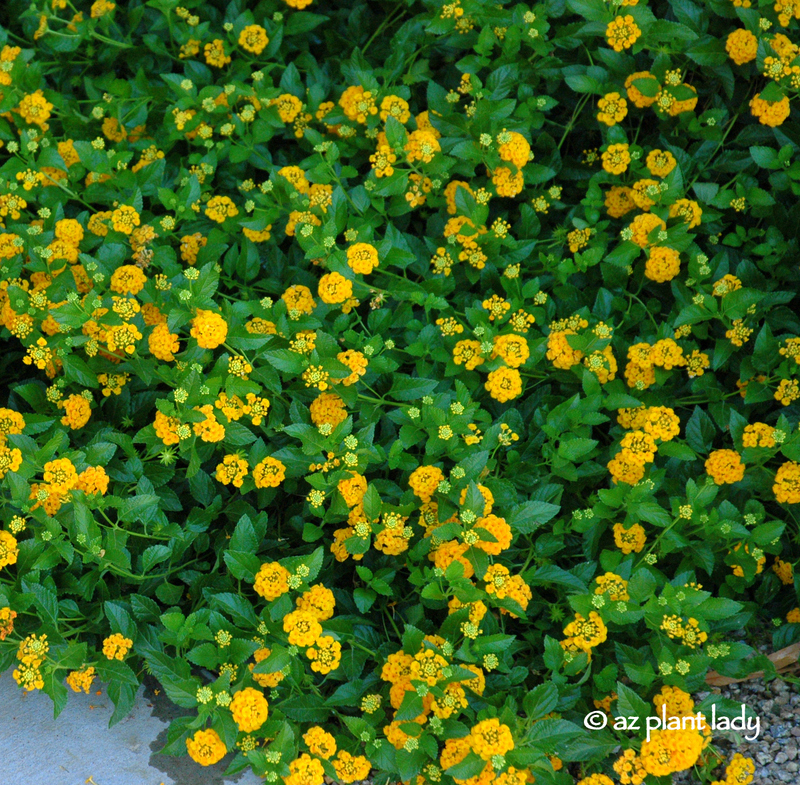 Another plant that this works well for is many of your Lantana species. Lantana often suffers frost damage in the winter (in zones 9 and below) and by pruning lightly, it will minimize the size of the unsightly frost damage in winter. In general, this method of pruning works well for most summer-flowering shrubs and perennials.